LifeWay Explore the Bible: Watch Out! Why would anyone want to walk away from a relationship with a God who has provided so much for us? Sadly, this happens all too often. The writer of Hebrews knew and observed this taking place among his readers so he offers a warning and solutions for those who might be faltering in their faith. This is the focus of this weeks LifeWay Explore the Bible study. Any believer can stumble into sin. God’s grace is sufficient to forgive us of our sins as we confess them (1 John 1:9). However any professing Christians who develop a pattern of disobedience and retreat from their confession of Christ as Savior and Lord are warned to make sure, to watch out, to see to it that their faith in Christ is genuine. On our own, we can be deceived by sin. On our own we can grow spiritually weak, dull, or even hardhearted. But when we walk together as God’s people, we can exhort, challenge, and encourage one another to faithfulness and obedience. We can cheer one another on to endurance. I have provided a variety of warning signs you can use to introduce the study. 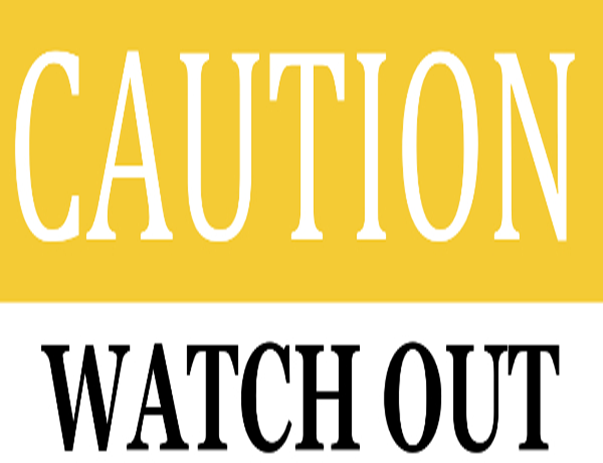 Feel free to choose those that are appropriate for your group: Download the Warning Signs PowerPoint version or the Warning Signs PDF version.